Our 12 week challenge programs are designed to ensure you see results. We keep it simple, follow our meal plan and train with us 4 times per week for 12 Weeks. Being part of our challenge is a sure way to keep you accountable & motivated. 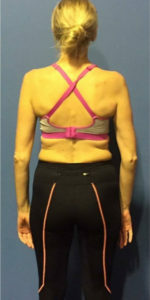 We offer three 12 week challenges per year. 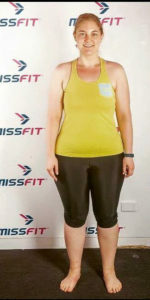 When I joined MissFit, I had little idea it would have such an effect on me. I am very grateful to MissFit Kate Beeley and her team of amazing trainers I see each week that keep challenging and supporting me. 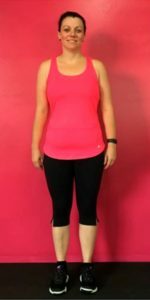 I have just finished MissFit’s latest 12 week challenge and I can I say it’s the best thing I have done! 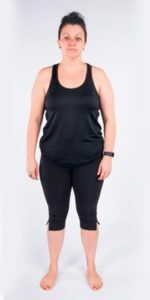 I have always contemplated doing a challenge after seeing the transformations from other ladies that have taken part in Kate’s previous challenges so I signed up. I set myself a few goals that I really wanted to achieve in that 12 weeks. In March 2016 I began training at MissFit after the birth of my third child. I was 89kg, unfit and with an unhealthy eating habit. I have done three 12 week challenges since starting with MissFit and I can honestly say they have been life changing. I have now lost over 45 kilos since starting on my health and fitness journey which I never thought was going to be possible. 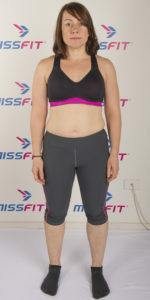 Already reasonably fit but looking to improve and also looking to lose that stubborn last 4 kilos of weight I signed up for the MissFit 12 week challenge. It was great from the start, at the breakfast launch I had a body scan, it is so interesting to find out what is going on with muscle mass and fat percentage rather than just obsessing about weight and BMI we had a talk from the body scan people to explain how it all works and also from the nutritionist and had the chance to ask any questions about the meal plans. I joined MissFit in January 2014 when my son, turned 6 weeks old. Exercise for me has been a daily part of my life for as long as I can remember. 5 months ago I made the best decision I have made for a long while, which was sending an email to Kate Beeley and her team at MissFit, inquiring about her program . I was 2 years post having a baby and 39 years of age , not overweight , but I was feeling lethargic , low in mood, stressed with work and also finding that after having a baby my social network was lacking. I joined MissFit back at the start of September for the 12 week challenge. Before joining, my health had never been a focus. 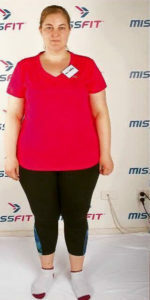 More recently my Sister encouraged me to try Miss Fit after she completed a 12 Week Challenge and achieved her personal fitness goals of losing weight and toning. I started Missfit in September 2015, when I moved to Brisbane from Sydney. Before joining, I would see the MissFitters running and training. After having trained with MissFit for a few months, I decided it was time to sign up for the 12 week Fire Up Challenge in May. After struggling with my weight and self-confidence for the past few years I knew this challenge could be a positive turning point for me. I started Baby Bootcamp at MissFit back in July 2015 when my second son was 6 weeks old. After having two babies in 15 months, putting on 18 kilos and then the added diagnosis of insulin dependent gestational diabetes which puts me at higher risk of developing diabetes later in life, I not. Just fantastic balance of protein, carbohydrates and good fats and real nutrient dense foods.